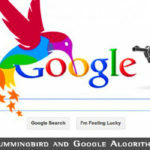 Facebook and Twitter lists can be used to generate traffic to your website or blog. Before discussing how lists can be useful to you, let’s first look at what they are and how to create them. What are Facebook and Twitter Lists? Lists offer a way of organizing your friends and followers into groups according to rules set by yourself. For example, your ‘Family’ list is an example of a Facebook list. It is a subset of your friends. Another such subset is ‘aClose Friends’. These lists have already been created on Facebook for you, and all you need to do to create these lists is to add friends’ names to them. The same is true of Twitter lists. They are subsets of your Twitter followers who have something in common. Before we discuss how to make use of lists, here is some advice on how to create them. Now click on ‘Create List’. Enter the names of your friends or pages you want to add to this list. Then click next. Type in the name you want to give to your list. Click ‘Create’ and your list will be generated. When you add friends, this list will now be present as an option. Click on the list, and simply enter the names of friends you want to add. Some lists are known as ‘smart lists’ and can be auto-filled with names of people whose profiles meet certain criteria. For example, if you set up a ‘City’ list, everybody within a stated radius of your city will be included. School friends will be added to your ‘School’ list – this information is taken from their profiles, but you can also add list members manually. Note: Whenever you add a friend to a smart list relating to a City, a Workplace or a School, Facebook will suggest that your friend update their own profile to reflect that addition. So if you add Abhijith to your school as a former pupil, Abhijith will receive a suggestion that they also create a list for that school. This is not done with regular lists. You can manage lists by visiting this page: https://www.facebook.com/bookmarks/lists. Click on the Pencil icon to manage it. The list will offer you the editing options. For example, you can add more people in this list or remove existing people from the lists. To remove people from a list, click on the list, click ‘See all’, hover over the name of the person you want to remove and click on the cross to remove them. Then click ‘Finish’ to complete the process. 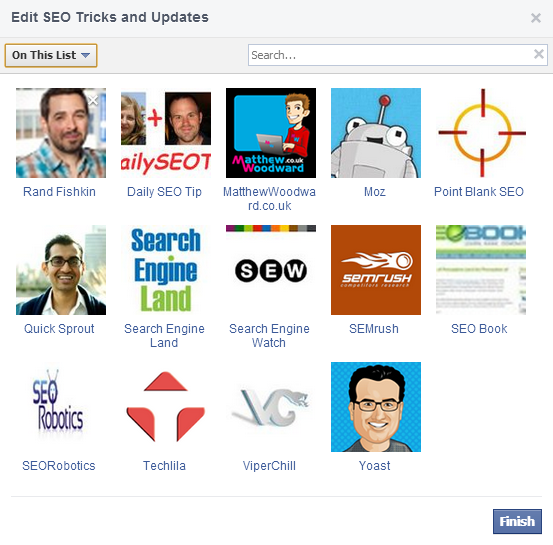 If you’re interested in SEO updates then follow ‘SEO Tricks and Updates’ list. To share your Facebook posts with specific groups of people, use the audience selector. You can choose the list or lists with which to share the post. Once you have written out the post, don’t click ‘post’ but click on ‘Public’ or ‘Friends’. You will see a drop down menu of all your lists, and you can choose those you want to see your post. 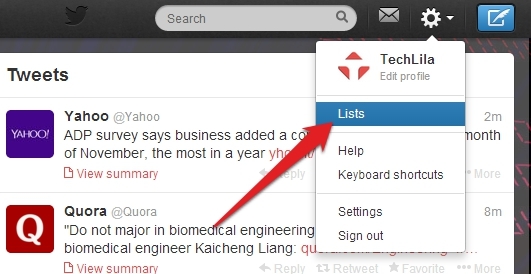 Click on the setting icon (gear wheel) on your Twitter page and select ‘Lists’. Then click on Create list. Name the list and then begin adding names – they can be your followers or those you are following. Click Private or Public, according to whether you want everybody to see your list or just you. 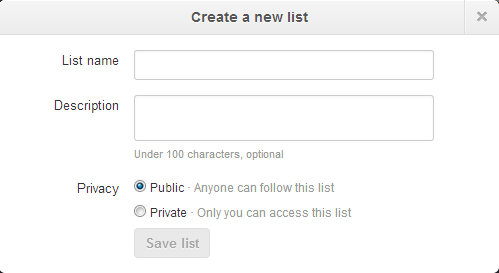 Twitter allows you only 20 lists with a maximum of 500 names per list. You can filter your lists in any way you want. If they are public, try to make them as specific as possible. For example, don’t just name them ‘internet marketing’ but be more precise such as ‘SEO experts’ and ‘professional bloggers’. That way, people will know exactly what the list is about. They are them more likely to follow your list. You can add people to your list by searching for names, brands or add them from your ‘Following’ page. You can also use anybody’s profile page. Click on their name then their profile. You will see a link to ‘add or remove from lists’. Lists have many different uses, the most obvious being that you can follow the posts or tweets of a qualified group of people. For example, they could all be members of your company, and you can keep up with what they discussing. You can use such lists to communicate quickly with colleagues using mobile technology. You can follow all the latest news in your speciality subject, and qualify those you want to hear from and to communicate with. Make a list public and share it with others who have the same interest e.g. you can subscribe to my ‘SEO Ninjas’ list. They may also share their similar lists with you, providing an extremely effective and powerful way of networking the topic. By creating a new list and inputting a subject hashtag (e.g. #SEO), all your tweets would appertain to that subject. This is a great way of separating your general communications with those specific to that subject. Create a private list of your competitors: you can check on their offers and other news, and keep yourself right up to date with what your competition is doing. Successful businesses always know what their competitors are up to. You can follow their profiles without following their accounts, so they don’t know you are doing it. Follow the lists of others in your niche. You can often find good contacts to follow when you follow public lists. 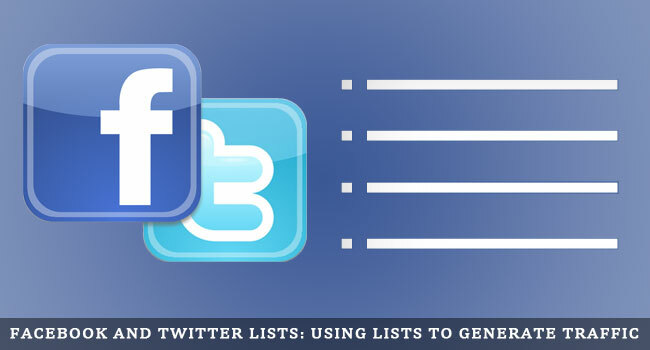 You can use Facebook and Twitter Lists to generate traffic to your blog or website. The technique is much the same for each, and fundamentally involves using your lists to their best advantage. Once you have lists containing people interested in what you have to offer, you can publish posts or tweets that relate to that particular group of people. This is particularly powerful if you have others that follow your list. Sure, they would likely have been exposed to your posts and tweets if they had not belonged to any particular list, but the benefit to you is that you can focus your tweets, and not annoy everybody with tweets irrelevant to them. To whom would respond best: somebody tweeting you about everything, or only with information relevant to you? You can include your website or blog URL in the post or tweet, and direct specific web pages or blog posts to those most likely to respond to them. 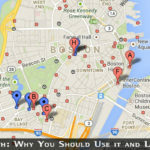 It is also easier for you to analyze your traffic for visits from these particular people or businesses. Your lists will consist of individuals and businesses that are interested in your services and products, or even just the niche or topic in general. It is likely they have their own followers and friends who are interested in the same niche. Make a post or tweet offering genuine information, and ask them to share or retweet. People are much more likely to pass your posts and tweets on if you ask them. You then have the possibility of your website or blog being exposed to a much larger audience. If their lists share or retweet in turn, your blog could get massive exposure leading to large increase in your traffic. Members of your Facebook and Twitter lists have been selected by you. That means that they are interested in what you have to offer. If you focus your efforts on such lists, then you are sure to get more visitors to your website or blog. This traffic increase can multiply significantly if you ask your list members to retweet or share the Facebook post. You can probably think of other ways to make use of highly targeted lists, but those above will work.